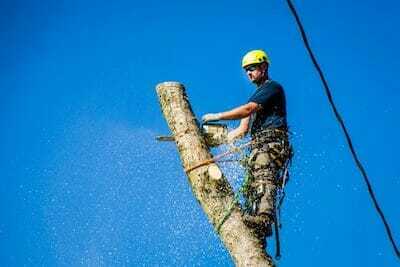 Home » Blog » What is a Certified Arborist and is it Different from a Landscaper? What is a Certified Arborist and is it Different from a Landscaper? There is also a difficult computerized test that tests arborists on the basics of all aspects of the tree industry, not just those that they work in currently. Certified Arborists must maintain their certification every 3 years by either taking continuing education credits or retaking the exam. If someone is a certified arborist it means they have shown a basic aptitude in their profession. It is in no way a guarantee that an arborist is skilled or an expert, but it does provide a general assurance that they know the basic principles in their profession and that they have a desire to follow generally accepted best practices in that profession. To give you an idea of the skill levels involved, it is less rigorous than being a journeyman electrician but more rigorous than getting a commercial driver’s license. In our opinion, any tree company you hire, the owner, the estimator (if the estimator is not the owner), and the crew leader should all be ISA certified arborists. There is really no other assurance that the arborist pruning your tree both knows what they are doing and are doing pruning that is of value to your trees. We regularly read 5-star reviews online about the pruning performed by companies we know to be scamming customers. We also regularly see tree pruning around town where the customer would have been better off just shredding their money. It is very difficult if not impossible for the average person to recognize poor pruning work that is damaging to the health of a tree. Your only assurance that the work was performed properly is that the estimator who wrote the work order up and the people who did the pruning proved to an outside organization that they have a basic level of professional knowledge by getting their ISA Certification. 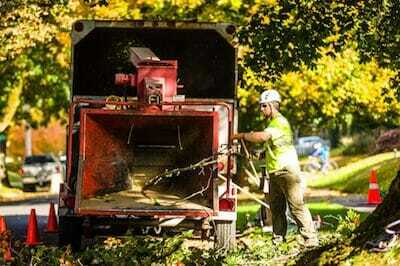 Urban Forest Professionals provides its customer an ISA certified arborist on every crew. We are one of the only Portland tree service companies to guarantee this fact. In addition, all of the grounds crew are training to be arborists and have a desire to learn arboriculture, obtain their certification, and have a long term career as an arborists. We have found that by only hiring people who seek this work out as a long term profession with the desire to learn and grow as an arborist allows Urban Forest Professionals to provide the best quality care for our customers. Are Landscapers Also Considered Certified Arborists? Now that we know what an arborist certification is, you may be wondering if this profession is much different from what landscapers do. Perhaps you just think of it as working with “Thorns” versus “Timbers.” However, the comparison is more complex than that and goes far beyond Providence Park! Horticulture and arboriculture share some common ground – the care of natural surroundings. Landscapers and arborists can work together, yet the two are not interchangeable. While both work with plants, one is more specialized than the other. When looking for Portland tree services, it’s important to know the difference between landscapers and arborists, or else you could end up with lackluster service. Designing and installing landscape (natural features) or hardscape (man-made fixtures). Installing and maintaining lawn irrigation, and ensuring proper water drainage. Covering land with mulch to enrich or insulate the soil. Preparing, creating, and maintaining garden beds. Pruning shrubs to promote health. Although landscapers are skilled at horticulture, they are ill-equipped to handle complicated tree projects. Landscapers may not have the appropriate tools or training to complete arboricultural jobs correctly – or safely. Too often, a landscape contractor attempts arboriculture, only to hurt himself or damage the property. Assessing the condition of trees and how to heal disease. Pruning trees, in consideration of available space, tree health, and productivity. Removing or reducing trees correctly and safely. Cabling or bracing vulnerable branch unions to create structural support. Transplanting and replanting trees to more appropriate locations. Performing deep root or tree spike fertilization to provide trees with key nutrients. Injecting fertilizers and pest control formulas into trees. Grinding stumps, ensuring a tree’s remnants are is eradicated. Safety considerations highlight the differences between landscapers and arborists. Arborists are trained to use specialized tools to climb and cut trees safely. From rigging to harnesses to aerial lift equipment, providing Portland tree services for the towering species in our area requires unique equipment—equipment that landscapers don’t have. Liability insurance distinguishes these fields as well. 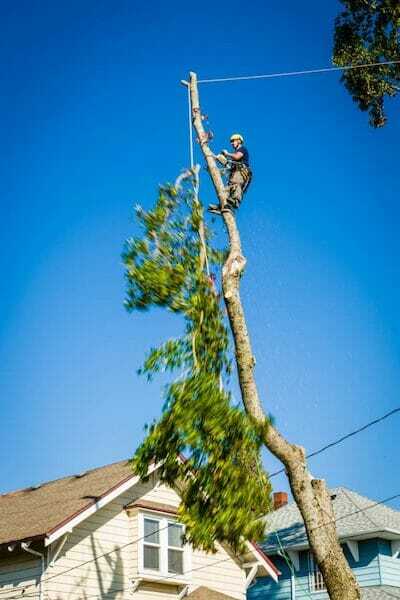 Trustworthy Portland certified arborists carry extensive liability insurance to protect themselves and the homeowner; in contrast, landscapers are not typically insured for arboricultural liability. Homeowners may have to foot the bill for damage if the contractor doesn’t carry the proper insurance for Portland tree removal or other services. City codes for the City of Portland State that homeowners must obtain permits before planting, pruning, or removing certain trees. According to the city’s new tree code, failing to acquire the correct permits could bring fees of up to $1,000 per day, per tree. To avoid fines, it’s best to work with a certified, experienced arborist. For example, Portland arborists can identify whether you have a heritage tree on your property. Heritage trees are protected by City Code; they can only be removed when officials confirm that they’re dead, dying, or dangerous—and in all cases, you’ll need Portland certified arborists to get the job done safely. Ultimately, it’s best to see these two fields—Horticulture and Arboriculture—as separate jobs best left to their respective professionals, landscapers and arborists. Of course, some Portland arborists also offer extensive landscaping services. However, for the health of your trees and the safety of your family, it’s best to entrust tree services only to certified arborists. If you want more information on when to call an arborist or a landscaper, check out this informative presentation by a group of Tree Care Industry Association board members, and read our blog on How to Select a Certified Arborist.